You won't have enough money to retire. I know I sound like the harbinger of doom, but it's a reality that you and most South Africans need to face up to. Now you might be asking, why am I saying this about you? Well, I am only looking at the statistics. 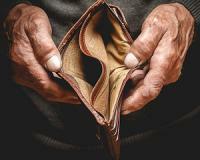 The Financial Planning Institute of South Africa says less than a quarter of South Africans can afford to retire. If you think that's a disturbing statistic, consider that it gets even worse when you look at statistics from the World Bank. It reports that only about 6% of South Africans can maintain their standard of living in retirement. Sanlam's benchmark survey of the retirement fund industry shows that only 2 out of every ten retirement fund members know what their retirement target is. The good news for you is, because you're reading this, all is not lost. There are things you can do right now to get ready for your retirement. But before I show you what you should be doing, I need to show you why it's so important to start taking your retirement planning more seriously. How much money do you need for your retirement? If your answer is, “I don’t know”, then you need to keep reading. How can you plan for retirement, if you don’t know what your retirement target is? At FSPInvest.co.za, we want to see you achieve the retirement of your dreams. So we’ve created a FREE Retirement Calculator that you can download to find out if you’re on the right financial track to live the retirement you’ve always dreamed of. The days of working one job to make money have gone. If you want to become wealthy and I mean, truly wealthy by the time you retire, relying on one source of income is just not going to cut it. Here’s the thing, too many South Africans don’t realise that you don’t need another job to earn a second or third income stream. You just need to make smarter investment decisions with your money. When you invest in dividend paying shares, you start building multiple streams of income. This is the type of income that you don’t have to work for. It’s passive income that flows into your investment account on a regular basis. Joshua recently published a report that shows you seven of the best dividend paying shares on the JSE today. Find out how you can start building a solid passive income with The Endless "Paycheque Portfolio", now. I’ve spent more than 12 years in the financial services industry. In all that time, I’ve met hundreds of financial advisors. Out of all of these, I would only trust my money with three of them. The reason I say this is that most financial advisors only have their best interest at heart. They want to collect commissions on selling you investment products that don’t meet your retirement goals. You probably already have a financial advisor that has shown you fancy spreadsheets predicting the millions you’ll have in the bank when you retire. The things is that spread sheet did not take future economic calamities into consideration. Just look at what happened to investment markets over the last year. Here at home, the rand tanked because of various local and international political reasons. Some of these include the changing of finance ministers that saw the rand plummet, rumours about the Gupta family buying out key positions in the financial industry that shook investor confidence and of course, Brexit that caused a wave of uncertainty across international markets. It’s not good enough for you to give your money over to a financial planner and trust him to deliver excellent returns. He will leave your money in mediocre performing funds as long as you allow him too. You need to play an active role in your investments and if your financial advisor doesn’t like it, find a financial advisor that will. Too many investors make decisions based on what they see on the news or hear from their friends. When you’re planning for your retirement, this is the last place you should be looking for your investment information. Now, you might think that you need to spend four years studying a financial or economics degree to understand how to invest for your retirement. But that’s certainly not viable. If you’re new to the investment markets and need to improve your knowledge of investing, then I urge you to read Fear, Greed and The Stock Market. In fact, if your family and friends are interested in buying their first share, I suggest they try this book. It shows you everything you need to know about investing – From how to formulate a winning investment strategy to protecting yourself from taking losses... It’s essential reading for anyone nearing retirement that needs to understand how the investment markets work. The retirement reforms are a hot topic of conversation right now. New reforms have been introduced to help you protect your retirement savings, reduce the amount of tax you pay and give you new investment vehicles that you can use to grow your retirement nest egg. The longer you live, the more money you’ll need. You see, the dynamics of four living generations of family life will create new demands on social culture. And this creates massive pressure on the social benefit systems in developed markets. Simply, governments don’t expect to support twice as many people for twice the length of time. Guy will speak about retirement reform at the FSP Invest Symposium for 2016. He will help you to plan your investment goals to live the retirement you want. When consumer prices consistently increase, it devalues the amount of rand in your bank account. That means that you can buy far less with R100 ten years from now than you can with a R100 today. Inflation is a serious problem in South Africa. The cost of electricity, petrol, healthcare and food rises steadily every year. Even people earning a steady monthly salary are struggling to keep up under these economic conditions. South Africa’s annual inflation rate is at around 5% to 6% right now. But it is important to note that as a pensioner or a retiree, inflation is one of the biggest threats you need to fight to live a comfortable retirement. People that earn a regular salary still have the benefit of receiving an annual increase every year. That means the amount of money you earn increases steadily and helps to fight inflation. When you retire, you don’t have the luxury of increasing the amount of money you earn. Your income is fixed while inflation rises consistently. The best way to overcome this problem is to start your retirement planning as early as possible. The longer you are invested, the more money you’ll have in your golden years. You need a portfolio that is well protected from violent swings in the market. The shares you invest in should help you fight off inflation and most importantly, you should still receive exceptional investment profits year in and year out. Children are not cheap. Education, food, clothes and entertainment are just some f the ways children can tap into your retirement savings. When you are nearing retirement it is important to discuss your financial situation with your children so that they understand you can no longer offer them the financial support they are used to. Retirement is the time that you need to focus on yourself and your children need to understand this. It’s not always easy to cut them off. So take a gradual approach to cutting those aprons strings. The best way to do this is to start at least ten years before you retire. Slowly wean your children off and encourage them to start investing, saving and being more careful with their money. If you don’t, and you hit retirement, you’ll face serious financial problems if you’re still bailing your children out of financial challenges. Taking debt into retirement can add unnecessary financial pressure. So, make sure that you pay off your bond, your car and all your credit cards at least five years before you retire. This will with free up a large chunk of your income. Instead of spending this income, save it, invest it and use it to fund your retirement. Don’t try to impress your friends by constantly buying new things like cars. These are debts that you don’t need in your retirement. So hold on to your car as long as possible. Once it’s paid off all you need to worry about is your insurance payments. This extra income will make a significant difference in your retirement planning. Now that you understand some of the biggest retirement failures threatening your income, you can take the right steps to make sure that you live the retirement of your dreams. Remember, this is your time to take a break from the hustle and bustle of life. It’s your opportunity to live life free of worry, stress and most importantly, reporting to a boss. With the threat of a recession on our doorstep, the next five to ten years are going to be challenging. That’s why the FSPInvest.co.za team of investment experts want to show you how to protect your wealth and prosper in the coming years. We’ve brought the world’s top investment minds together to show you exactly how to invest your money for maximum success. This is your opportunity to meet these investment experts in person and rub shoulders with superior international financial analysts. You’ll hear the type of investment and wealth building ideas that not many investors are privy too. You’ll gain a superior advantage with the most profitable and actionable investment ideas in the market today.